Call now to book your 2018 big game hunting adventure! Thanks for your interest in guided Colorado Big Game Hunting with Jackson Outfitters on the beautiful Western Slope of Colorado! 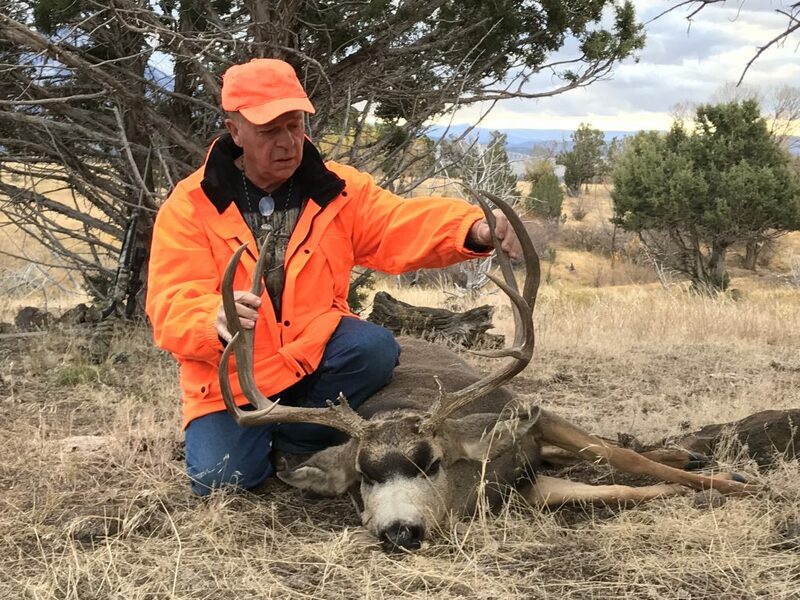 Our goal is to provide high quality, fully guided mule deer and elk hunts, with our seasoned, professional guides. We are dedicated to maintaining our high success rate, providing an enjoyable hunting experience, and continuing to offer high quality meals, lodging, and personalized attention for each of our clients. For more information about our Colorado Big Game Hunting services please read the information below. If you would like to arrange a hunt for you or your group, feel free to give us a call today. We look forward to speaking with you! 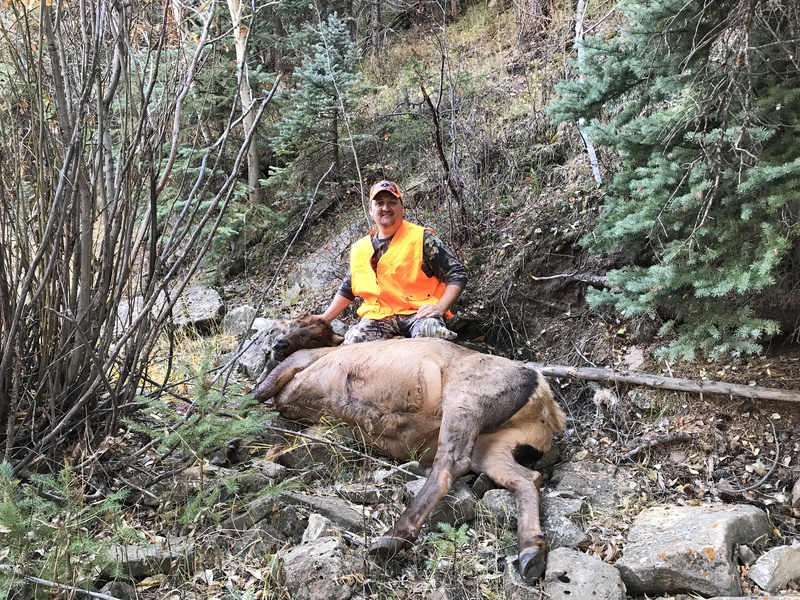 Jackson Outfitter’s offers fully guided, outfitted hunts in BLM, Forest, Wilderness and on private property leases, we carry all appropriate insurance and maintain special use permits in nine different game management units including Trophy unit 61! Our Guides have extensive knowledge, with several having more than 20 years of experience hunting in these units. We provide pack in Horse back hunts in vast wilderness areas where very little hunting traffic is seen! The licenses for these rifle Mule deer hunts are by draw only. There are a controlled amount of licenses put out by the Colorado DOW for each of these units. We are very successful in harvesting trophy bucks on the public land that we are permitted for. Several of these units are managed for trophy mule deer. We also have private property leases that hold a lot of mule deer and have a very limited amount of pressure. High elevation hunts for trophy mule deer above timber line are also provided. If you do not draw a license we can put you in contact with land owners whom can sell you a voucher ( guaranteed license). For mule deer buck or unit 61 trophy bull elk. These hunts are a perfect fit for hunters in a wide range of physical conditions, as we have great success in everything from glassing from vehicles and ATV’s, to spot stalking from elevated vantage points. 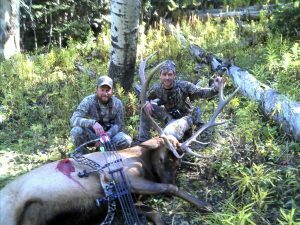 Archery, Black powder and early Rifle seasons are hunted in high elevation where the elk summer and rut. The rut is a magical time to elk hunt. 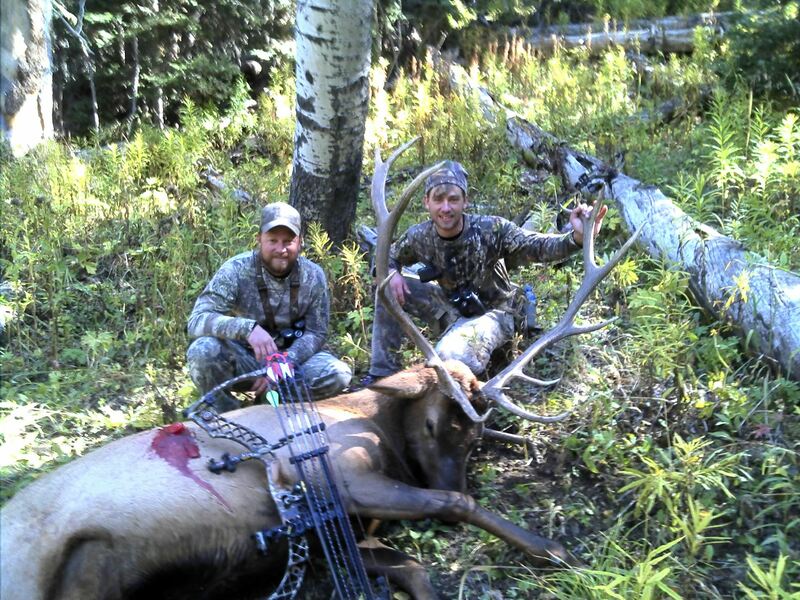 Our guides will work hard to get you into the action and call elk into range for you. We provide meals and lodging we can provide a hike in hunt from base camp or pack you into wilderness where the elk seldom see hunters. We provide fully set up comfortable drop camps and have very experienced horses to carry you and your gear into Gods country! We are permitted in areas that allow us to move to the elevation that the elk are at. We have a good success rate on 6×6 bulls, and occasionally see trophy bulls. If you are interested in a Cow elk meat hunt we have tons of different affordable opportunities. Elk meat is one of the healthiest forms of protein you can fill your freezer with. We hunt in units with large healthy replenishing elk herds. 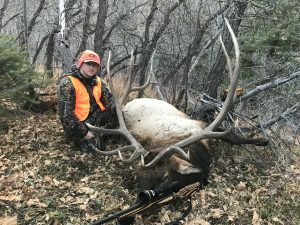 Colorado Division of Wildlife puts out a large number of these licenses to help population numbers and to keep the herds healthy. 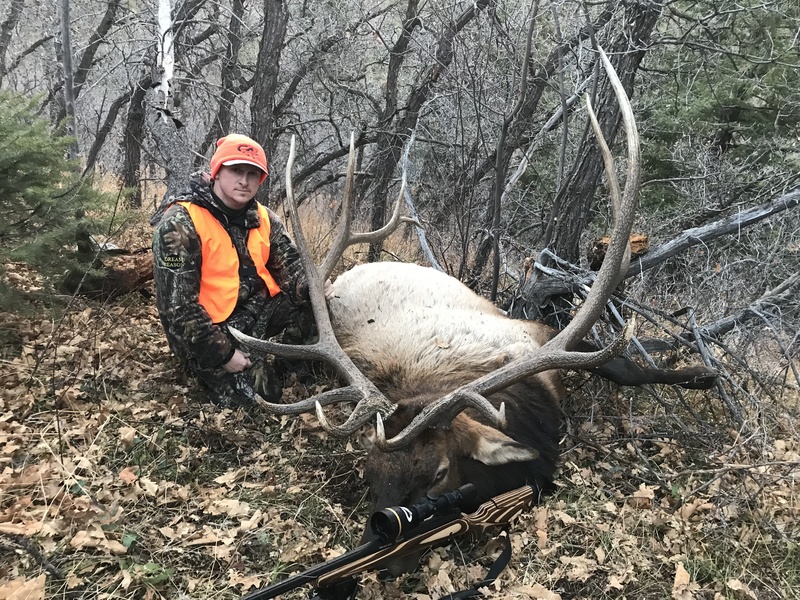 If you are interested in more information about Colorado Big Game Hunting services, Colorado Guided Trophy Buck Hunts, Colorado Elk Hunts, or would like to Book A Hunt, contact Roy Jackson today!